No, no, I’m not talking about that. Get your minds out of the gutter! What I’m talking about is hobbies. Now, I am not the expert on marriage by any means, I’ve only been in this thing for just over a month— but I do know what has worked for our relationship and what has not over the past 5+ years of coupledom. I think one of the most important aspects of a relationship — or marriage — is having a joint appreciation for some thing you can do together. It took us long enough to finally figure it out, but for us, that hobby is running. We started running together when I lived on campus at USF, but didn’t stick with it due to busy schedules, a definite lack of motivation and a certain “comfortableness” in our relationship. We got the husband-wife syndrome early on, and became two lazy old folks. We went to movies, ate dinner and stayed in. 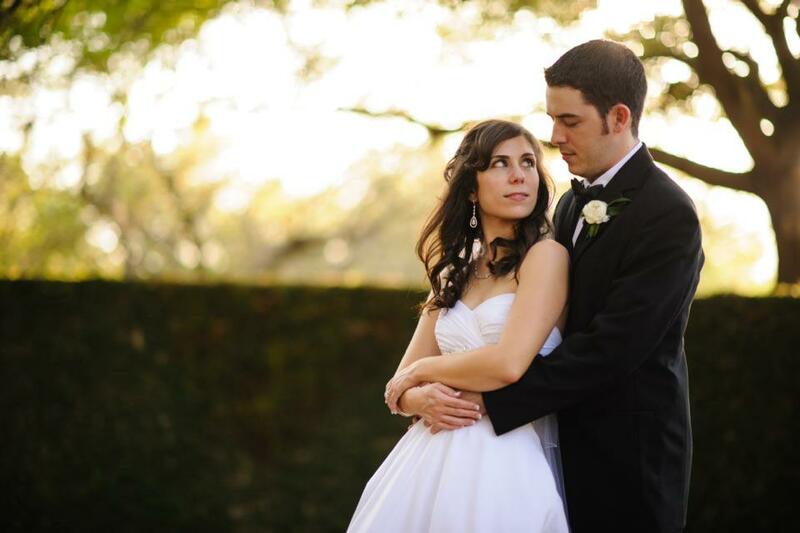 When we got engaged November 2010 and we realized we were at the prime age at which our metabolism might begin it’s slow but steady decline, it was time to get back on it. It wasn’t easy at first. We had to start out slow, and boy was it rough. Just one mile was tough at the start. But we persevered and had a small victory when we participated in the Apple Store’s (where Marcelo works) Cardio Challenge. We completed a 5K without stopping. Then we ran the Lutz Independence Day 5k on July 4th. Every small accomplishment kept us going! From then on, running again only got easier—and it was something we could truly do together. We have increased our mileage and we have seen together the huge improvement running has made on our health. And the best part is, we’ve done it together! It has been easier that way and it feels like we have accomplished this together. I would even venture to say that our little “hobby” has even brought us closer together. So, what do you and yours do together for fun, for health or just for kicks? Whatever it is, keep it up. This hobby stuff may not seem like serious business, but in the grand scheme of things I believe it works wonders for your relationship! Here’s to doing it together! Don’t be afraid to add alcohol. Although it can definitely help you have fun, this can easily work with or against our goal of staying healthy, depending on who you ask. There are so many conflicting studies on the benefits and the health effects of alcohol. Some say 1 drink per day for women and 2 per day for men can actually benefit your health. Others say just that one drink for women can up our chances of developing breast cancer. For today, we’re just going to say alcohol adds a little fun to your life, and if used responsibly, can be a great form of stress-relief and relaxation. 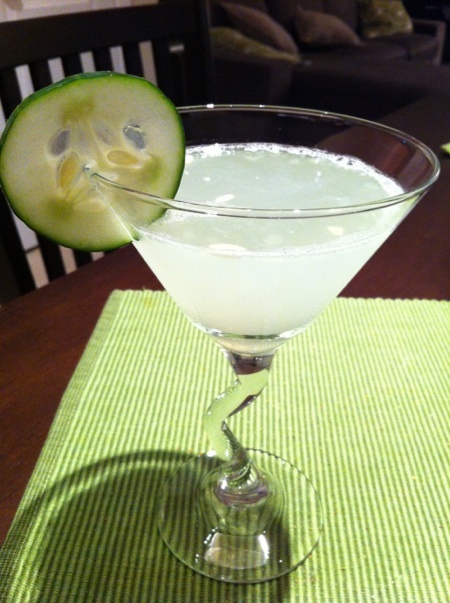 Here’s our most recent creation: The Cucumber Martini. Martinis don’t mess around, so alter the dosages if you prefer to have less (or more) fun. We first tried and fell in love with this at a bar in New Tampa. 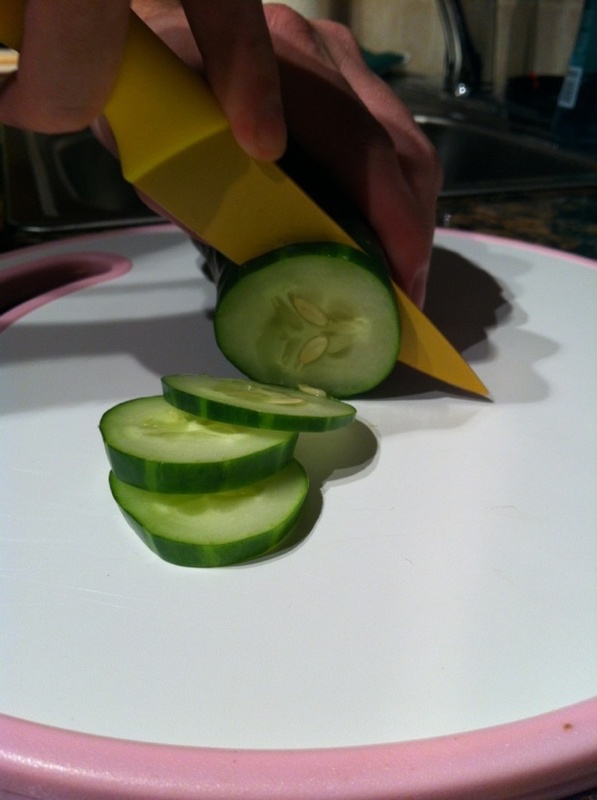 Start by thinly slicing an ice-cold cuke. Add a few slices to a cocktail shaker glass and muddle up really good with a muddler or anything else you have on hand that will get the job done. We used a wooden spoon since we haven’t quite stocked our newlywed kitchen. 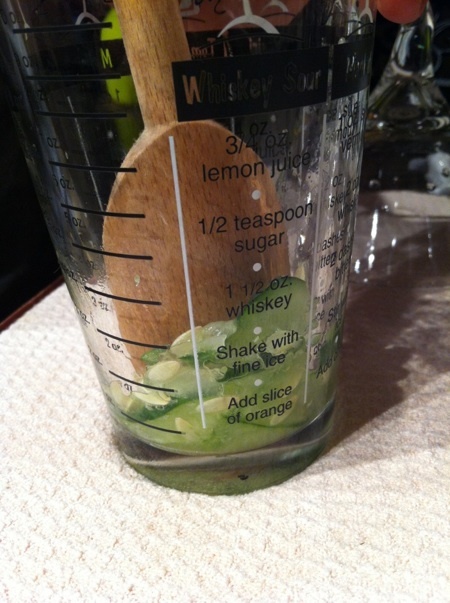 For a flavor variation on this, try adding a few sprigs of mint and muddle with the cucumber. Next, simply add in 3 ounces (2 shots) of vodka, 1/2 ounce of simple syrup, 1/4 ounce of lemon juice and a handful of ice. Shake vigorously and strain into a martini glass. 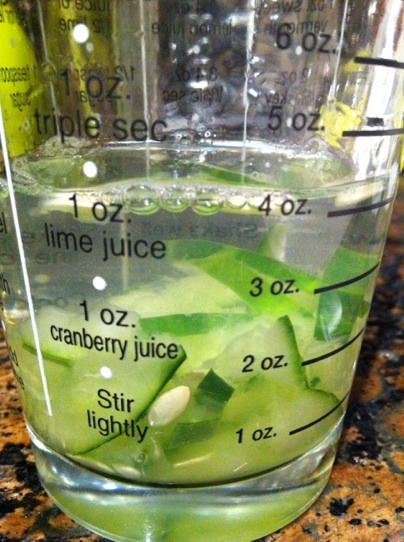 Garnish with a fresh cucumber slice on the side or float one in the drink itself. Voilà!